The charity changes each month… check out below for previous months and how much we’ve donated. Kaibosh rescues quality surplus food from food businesses & provides it to community groups who support people in need. They deliver more than 10 tonnes of fresh, healthy food each month, which equals more than 28,500 meals that would otherwise be needlessly thrown away. They do this at no cost to food donors or community groups. Every dollar donated means Kaibosh can provide the equivalent of a meal to someone in need. Wellington Women’s Refuge provides support, information & advocacy to survivors of domestic violence; walking alongside and empowering them to make safe decisions for their future. The Wellington City Mission has been helping Wellingtonians in need for over 110 years. The Mission prides itself on being open to anyone who needs assistance – regardless of their religious belief, age, ethnicity or social background. We believe in providing holistic support to those who need help, offering access to all our programmes in response to need. Together, we work to identify and address people’s underlying issues to create positive outcomes. Wellington Hospitals Foundation is a registered charitable trust that raises funds for projects to improve the comfort and welfare of patients and their families at Wellington Hospital, Kenepuru Hospital, Wellington Children's Hospital & Kapiti Health Centre. The Foundation's mission is to involve our communities in our hospitals & health services and the challenge for the Foundation is to raise sufficient funds for those "extra projects" that are not funded by the Government. The Foundation's aim is to help as many patients & their families as possible. The Wellington Hospitals Foundation is the official fundraiser for the hospitals & health services within the Capital & Coast Health District. The Foundation is a community initiative & is a completely separate entity from the District Health Board. Wellington Free Ambulance believes in a place where emergencies needn’t cost lives or money. You are the ones that make this possible. Thanks to your support, we can attend 50,000 incidents every year & answer over 100,000 calls for help. We are the only emergency ambulance service in Greater Wellington & Wairarapa, and the only ones in the country who are free. Each year our community raises over $4million to cover the gap between government funding & the cost of running the service. Your generous donations mean people in our community can just think about getting better. Thanks for being the ones. Ronald McDonald House Charities® New Zealand (RMHC®) is the country’s leading family charity & we work tirelessly to take care of families throughout their children’s medical journeys. Our core programme, our Ronald McDonald Houses®, endeavour to strengthen Kiwi families who are away from home with a hospitalised child, by providing free accommodation and a wide variety of support services. Most importantly we ensure these families can remain together so that they will be better placed to cope & help their children heal. Kaffee Eis is going Pink in May as part of Pink Ribbon Breakfasts, supporting the NZ Breast Cancer Foundation. The NZ Breast Cancer Foundation is a not-for-profit organisation that depends on donations for its work in breast cancer education & awareness, medical research & training grants, advocacy & supporting women with breast cancer. The NZBCF’s long-term vision is zero deaths from breast cancer, and to that end, its focus is on pushing for new frontiers in early detection, treatment and support. Life Flight is a charity that provides emergency air services, including the Wellington-based Westpac Rescue Helicopter & a nationwide air ambulance service. It relies on support from the public & from partners such as major sponsor Westpac to provide these services. Operating 24/7, Life Flight gets patients the care they need quickly, dramatically improving their chance of survival and recovery. Victim Support Wellington provides a free, 24/7 support service for victims affected by crime, trauma and suicide. Your support will help almost 3000 victims across the Wellington region every year to participate fully and fairly in the justice system, get the help they need, and stay connected with their family and community through the toughest times of their lives. Every week more than three Kiwi children are diagnosed with cancer. A child having cancer is probably one of the toughest things a family will ever go through. 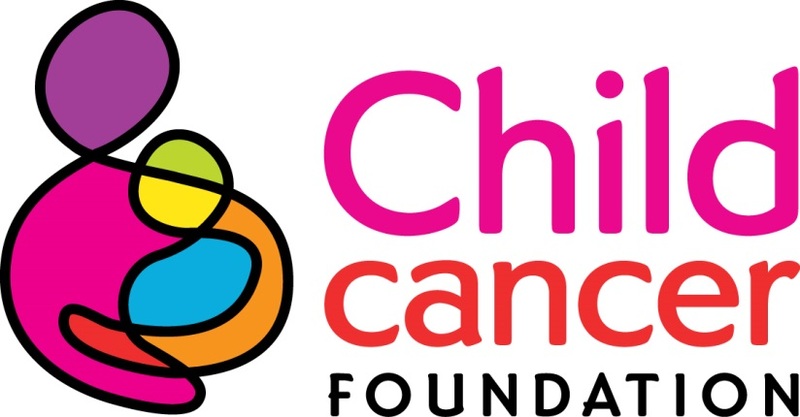 But Child Cancer Foundation is here to maintain hope and provide strength. For families. For parents. And of course, the child. We are a unique family-focused nationwide network that gives personalised support to each family through a one-to-one connection – someone who can help guide them every step of the way now, and in the future. The Prostate Cancer Foundation has a significant role in promoting public awareness of this disease. With over 3000 New Zealand men being diagnosed each year, and with early detection leading to better outcomes, it is important that men are aware of the signs of potential disease and also of the checking and screening tests that are available from their doctor. Each year Blue September has a major focus on promoting awareness of prostate cancer. We encourage businesses and community groups to join in with their own promotions as part of this awareness campaign. Age Concern Wellington aims to improve the quality of life and wellbeing of older people and promotes a positive attitude to ageing. We provide an Accredited Visiting Service (trained, police vetted volunteers) who visit lonely, isolated seniors, often in their own homes. We visit over 120 people every week. All the services we offer are free. Youthline’s primary purpose is to support and develop young people. We do this through our telephone counselling, web and text services and education services, and also by training young people to volunteer at Youthline. Youthline Wellington aims to deliver telephone and text counselling daily and education programmes primarily to youth in the Wellington region, but also to others in need. We aim to listen, be a friendly voice, empower young people to make positive decisions in their lives, and to pass on knowledge of other services that could assist our callers with their needs. Coastguard Wellington is the charity saving lives in the waters of Wellington Harbour and the adjacent area of Cook Strait. We have two rescue vessels, Spirit of Wellington, and Phoenix Rescue, manned by 65 eager and highly-trained volunteer skippers and crew. Each year we receive 50 to 60 calls for help and bring home more than 100 people safely. Each year, we need to raise 85 percent of our income from individuals, corporate sponsors, and trusts. Without your help, it’s impossible to saves lives at sea.